Learning language is natural and babies are born with the ability to learn it. All children, no matter which language their parents speak, learn a language in the same way. There are three basic stages in which children develop their language skills. When babies are born, they can make and hear all the sounds in all the languages in the world. That’s about 150 sounds in about 6500 languages, though no language uses all of those sounds. The sounds a language uses are called phonemes and English has about 44. Some languages use more and some use fewer. In this stage, babies learn which phonemes belong to the language they are learning and which don’t. The ability to recognize and produce those sounds is called “phonemic awareness,” which is important for children learning to read. At this stage, children essentially learn how the sounds in a language go together to make meaning. For example, they learn that the sounds m-ah-m-ee refer to the “being” who cuddles and feeds them, their mommy. However, children are not learning words, exactly. They are actually learning morphemes, which may or may not be words. A morpheme is simply a sound or sounds that have a meaning, like a word mommy. The word mommies, however, has two morphemes: mommy and –s. Children at this stage can recognize that the –s means "more than one." They also begin to associate that meaning with other words when the sound is added. During this stage, children learn how to create sentences. That means they can put words in the correct order. For example, they learn that in English we say "I want a cookie" and "I want a chocolate cookie," not "Want I a cookie" or "I want cookie chocolate." Children also learn the difference between grammatical correctness and meaning. Noam Chomsky created an example of this difference in the sentence “Colorless green ideas sleep furiously.” Children will know that although the sentence is grammatically correct, it doesn’t make sense. They know that green is a color and can't, therefore, be colorless. Though all children learn in basic stages, language develops at different rates in different children. Most children follow a familiar pattern. When babies are born, they can already respond to the rhythm of language. They can recognize stress, pace, and the rise and fall of pitch. As early as four months, infants can distinguish between language sounds and other noise. For instance, they know the difference between a spoken word and a clap. By six months, babies begin to babble and coo and this is the first sign that the baby is learning a language. Babies are now capable of making all the sounds in all the languages of the world, but by the time they are a year old, they will have dropped the sounds that aren’t part of the language they are learning. Babies can now recognize groups of sounds and can distinguish word boundaries. Although they recognize these sound groups as words, they may not know what the words mean. At this point, children are able to attach meanings to words. Once they can do that, they can begin to build a vocabulary. They begin to mimic new words they hear and by the time they are 1 year old will have a vocabulary of around 50 words. In order to communicate, children must know how to use the words they are learning. In this stage of language development, children are able to recognize the difference between nouns and verbs. Generally, the first words in a child’s vocabulary are nouns. At this stage, children begin to recognize more than nouns and verbs and gain an understanding of basic sentence structure. They can use pronouns, for example. They also know the right order of words in a sentence and can create simple sentences like "Me cookie? ", which means "May I have a cookie?". By this age, about 90 percent of what children say is grammatically correct. The mistakes they make are usually things like adding -ed to irregular verbs to form the past tense. For example, they might say "I fallen down" instead of "I fell down." They learned the grammatical rule to form the past tense by adding -ed to a verb but have not yet learned the exceptions to the rule. 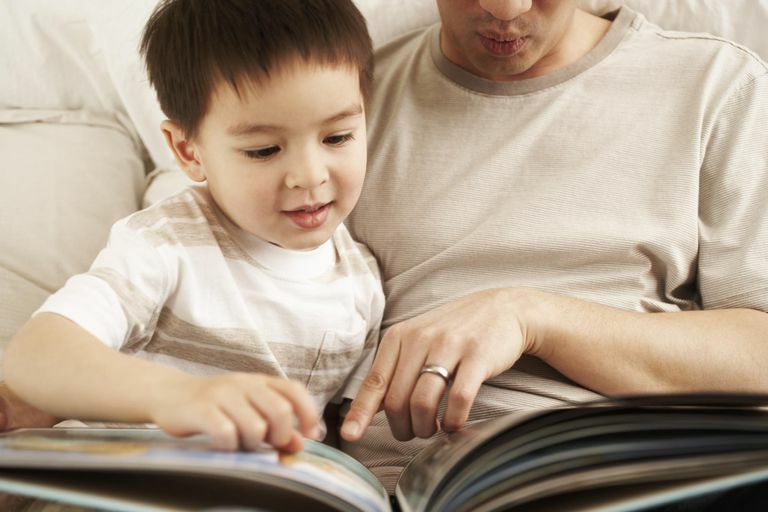 As they grow, children continue to expand their vocabulary and develop more complex language. Their language use really doesn’t completely resemble adult language until around the age of eleven. Verbally gifted children often go through these stages more quickly than other children. Some develop so quickly that they seem to skip right over some of them. It is not unusual for a gifted child to babble and coo and then be relatively silent. By age one they are not mimicking words and by age two they are not using even simple sentences. They may be saying "mama" and "dada," and a few other words, but not much more. Then suddenly, at 26 months, the child begins speaking in complete, grammatically correct sentences like a three-year-old. The advanced language development of gifted kids may be one of the reasons that some of them are able to learn how to read before they turn five or even before they turn three.